Narrated entirely from the viewpoint of a young insane woman, this novel provides a moving description of the horrific conditions in two New Zealand mental institutions. 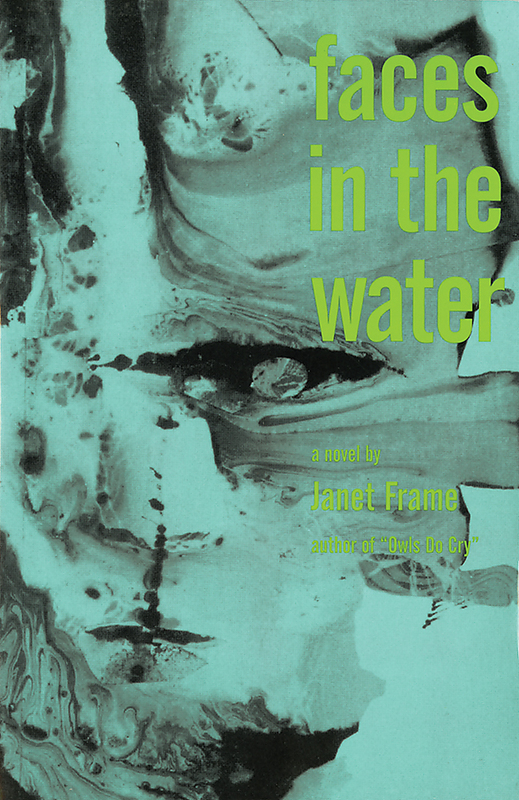 Written with unsparing precision and astounding immediacy, Faces in the Water takes the reader behind the walls of two hospitals—Cliffhaven and Treecroft—and into the hearts and minds of its confused and tormented patients. The experience of insanity and “the utter, the naked precariousness of existence” is conveyed with extraordinary insight and poetic brilliance. "Miss Frame shows an insight into the minds and lives of other patients which brings them back into the scope of art. And her skill at penetrating the feelings of the staff unites patients and staff in such a way as to make them all, however whirling, members of the same tragic microcosm. In freshness of language and vision Miss Frame is the most remarkable New Zealand writer since Katherine Mansfield and Frank Sargeson."